Death Wish 3 & Masters of the Universe 35 mm Double Bill Presentation! We asked you, you answered big time, now we're bringing them to you big time... both in 35 mm! Two movies for only €12. 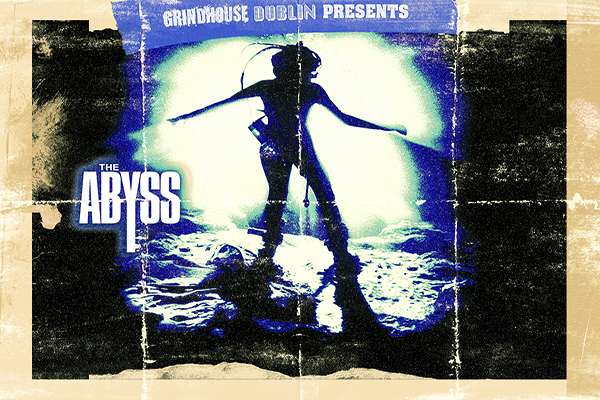 Note : The double bill will start earlier than our normal Grindhouse Dublin events, so you truly get double the value!!! On the war-torn planet of Eternia, the evil Skeletor (Frank Langella) and a band of his minions have managed to seize control over Castle Grayskull. It is up to the legendary warrior He-Man (Dolph Lundgren), with the assistance of Man-at-Arms, his daughter Teela and inventor Gwildor to stop Skeletor and bring peace back to Eternia. Through the use of the Cosmic Key, which Skeletor needs to become a godlike being, our heroes are accidentally transported to Earth. He-man and his noble warriors team up with two teenagers in an attempt to recover the key and restore freedom to Eternia and defeat Skeletor! Vigilante, Paul Kersey (Charles Bronson), returns to the gang run streets of New York city and quickly discovers the murder of an old friend. Initially, Kersey is pinned for his friends senseless death. Once arrested, Kersey is brought before police chief Richard Shriker (Ed Lauter), who recognises Kersey as the fabled Brooklyn vigilante. Meanwhile the police receive daily reports about the increased rate of crime. Shriker then offers Kersey a deal— to kill as many street thugs as he wants, just as long as the police take credit. Now Kersey is let loose... to dispense justice to the streets of New York... his way!